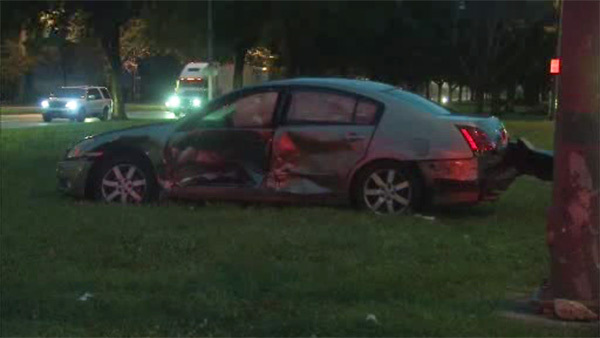 OLNEY (WPVI) -- Police are investigating after three cars collided on the Roosevelt Boulevard in the Olney section of Philadelphia. It happened around 5:30 a.m. Tuesday in the northbound lanes at C Street. One car t-boned another vehicle, while yet another car rear-ended one of those cars. There was no word on a cause of the crash.